The U.S. State Department allegedly sent a cable to the Lebanese Embassy in Washington that warned them against inviting Syria to the Arab Economic Summit in Beirut that is scheduled to take place this week, Al-Akhbar reported on Wednesday. According to Al-Akhbar, Lebanon was not only warned against inviting Syria to the Arab Economic Summit, but Washington also threatened sanctions against Lebanon if they participate in any reconstruction efforts. The latter (U.S.) threatened Lebanon with sanctions if it participated in the reconstruction of Al-Sham (a reference to Damascus),” Al-Akhbar claimed. “The U.S. position was relayed to the Ministry of Foreign Affairs and Emigrants, in more than one way,” they continued. 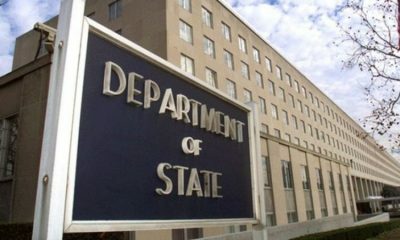 The U.S. State Department has not issued a comment regarding these allegations; however, Washington has warned several nations in the past about participating in the reconstruction of Syria.